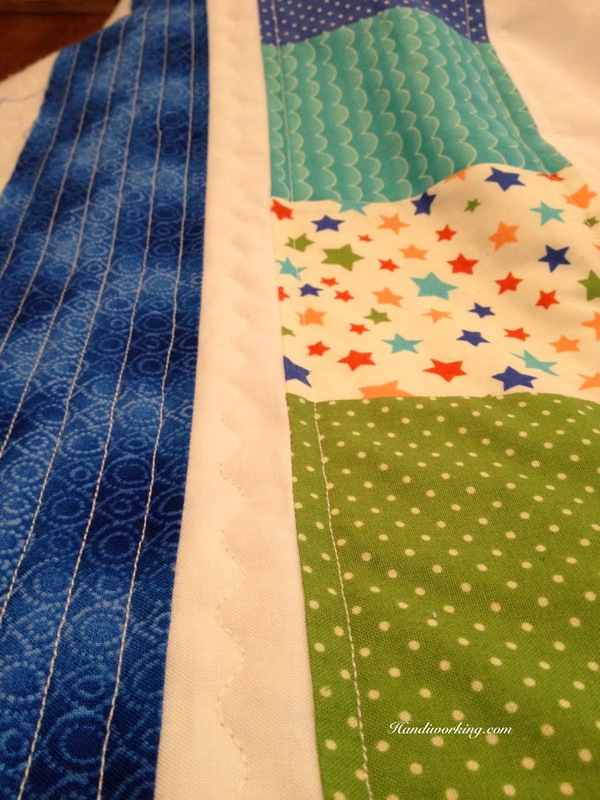 Baby quilts are just plain fun to make! With a new great-niece expected to make an appearance in August, a few months ago I started planning a special quilt for her. 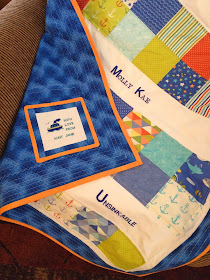 And with Molly Brown as the name of the baby-to-be, I just had to design an Unsinkable Quilt. 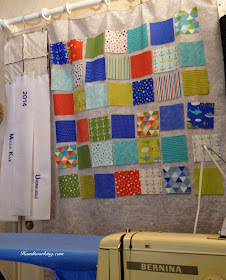 Starting with some sweet charm squares -- Bartholo-meow's Reef by Tim and Beck for Moda -- I laid out a simple design. The charm squares are nautical in theme with the cutest anchors, fish, stars and waves. I added bright white sashing to make the colors pop and decided to embroider the year, baby's name and Unsinkable in the three panels. A few years ago, Hubby mounted a curtain rod over the closet door in my crafting studio and I hung a flannel-backed tablecloth from it to use as a design wall. It's pretty handy because I can take it down or slide it to the side when necessary. 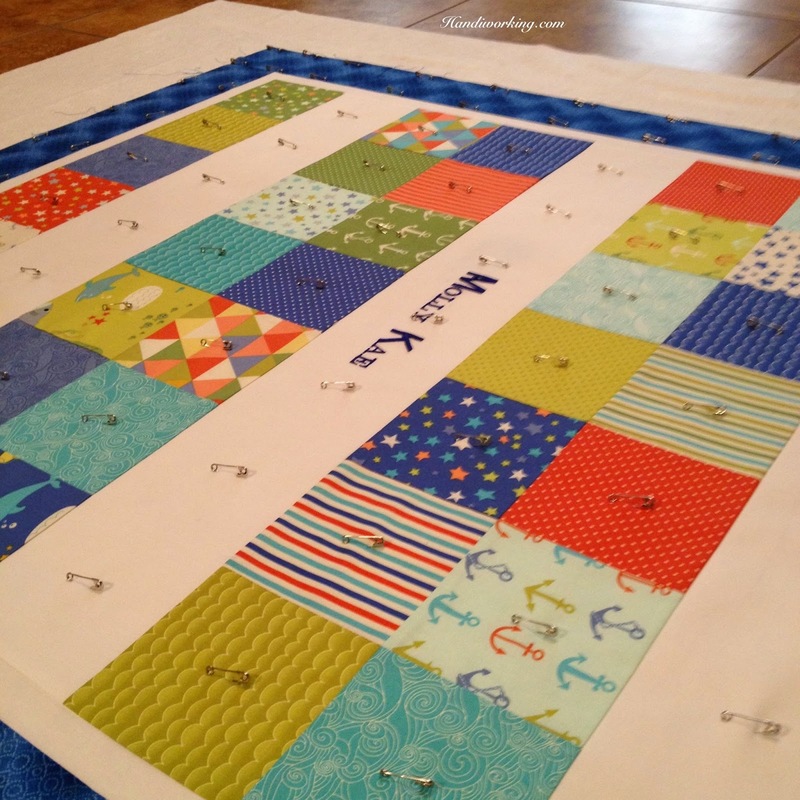 Sewing each row together is easy when it's all laid out on the wall. And even though I was still fussing with and rearranging the charm squares until the last minute, it helps keep everything in the proper order. I also like to take pictures of the layout to reference just in case I get turned around. I've tried spray basting but I really find the process of pin basting the quilt layers together to be soothing and satisfying. It's a zen place for me. 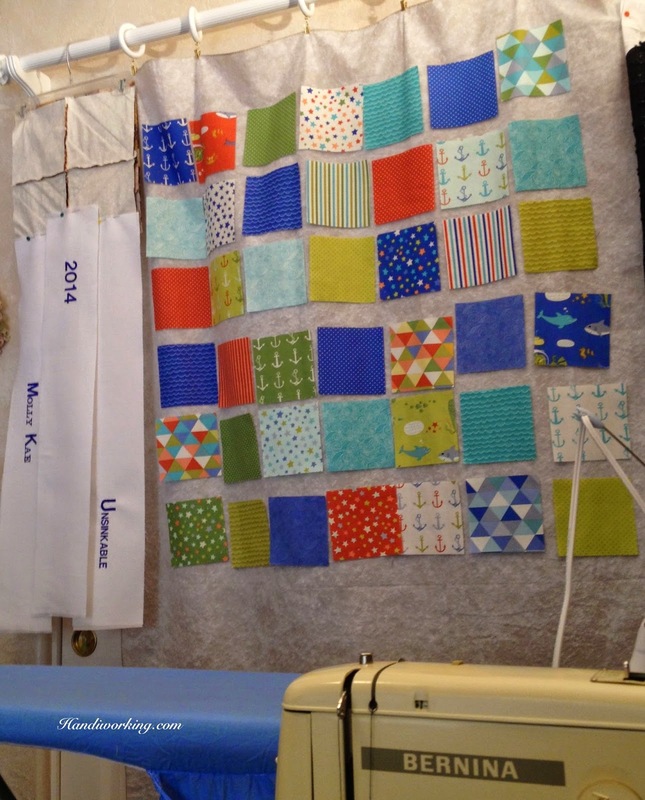 The actual machine quilting, not so much. Another part of the process I really enjoy, though, is making quilt binding. I could cut, press and roll binding all day long. Makes me happy! I love the way the backing and outer border fabric resemble water. I found this fabric and the orange dot binding at Jo-Ann's. One last thing was putting a label on the quilt. In keeping with the Unsinkable theme, I embroidered a boat on the label and "With Love from Aunt Janie." I like to use scraps of the leftover quilt fabric to frame the label. 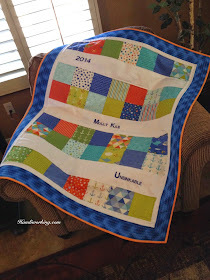 Here is my method for making quilt labels. 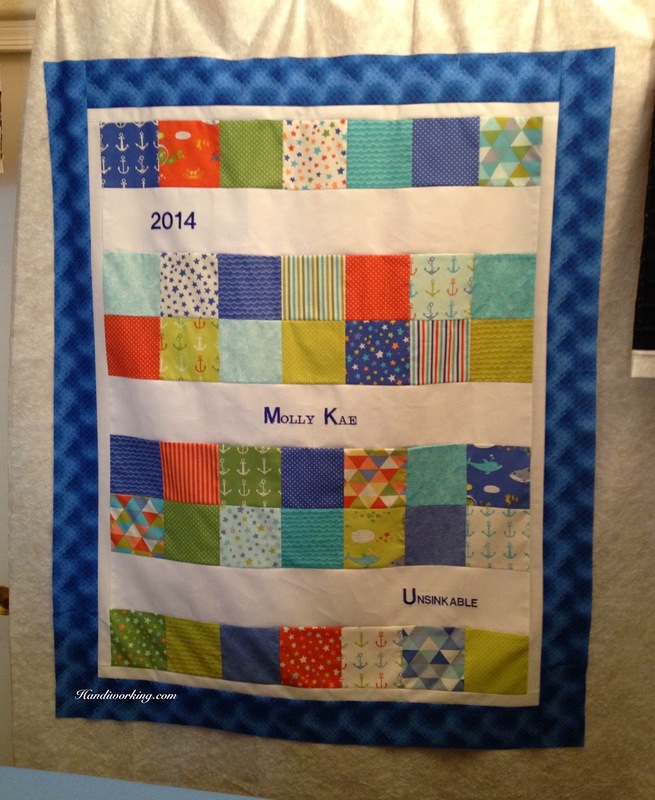 The quilt reached the Browns exactly one week before Molly's appearance. 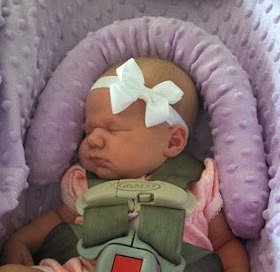 Welcome to the world, baby girl … we're so pleased to meet you! 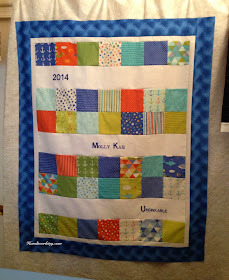 Molly's Unsinkable Quilt pattern is a free download on my Craftsy page.